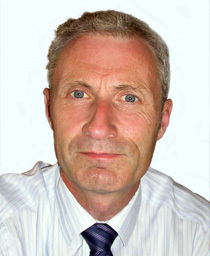 Jon has more than twenty years experience in people development. His experience is in organisational development including leadership development, executive coaching, change management as well as facilitating strategy and business planning. His book, ‘Business Coaching in Easy Steps’ is due to be launched on 5 August 2009 with a second on Determining your Future Career due out later this year. Jon originally started his career in financial services moving over to training and development with the Woolwich Building Society in 1987. He then moved to Save & Prosper, part of the Flemings Group where he became Head of Training & Development. While at Save & Prosper, Jon worked closely with Glowinkowski International, establishing a competency framework for use across the business. Jon set up his own organizational development business in 1999, which he successfully ran for 7 years. During this time he was engaged in a wide range of projects with leading organisations from a variety of sectors in the UK and internationally. Most recently, Jon was Deputy CEO for the Society of Chemical Industry where he was involved in developing the business into Europe and China as well as forging links with its US counterparts.